HomeDrug Information - Help Learn What Your Loved...What is Marijuana? Cannabis comes in several preparations, the most common being dried leaves of the marijuana plant. The active ingredient is a compound known as delta-9-tetrahydrocannabinol (delta-9-THC or simply THC). Concentrated THC is also found in hashish (hash), a more potent form of marijuana. Marijuana has a long history and has been smoked or ingested for hundreds of years in many different countries. It has probably been used for as long as alcohol or opium. It has a lower abuse liability than most of the other abusable psychoactive chemicals. However, some become psychologically (and perhaps physically) addicted and must exert considerable effort or even obtain medical treatment to stop using it. In this regard,marijuana is much like alcohol in that most who use it do so intermittently and in low doses, but a subgroup use it regularly in high doses and develop significant problems as a result. Though cannabis psychoactive chemicals are classified separately here because of their unique place in our psychoactive chemical abuse culture, they are actually hallucinogens. There are two major differences between cannabis preparations and LSD or other hallucinogens. One lies in their effective dose. Cannabis preparations are much less potent and must be taken in very large doses to obtain all the effects usually caused by other hallucinogens. This is especially true in comparison with LSD which is effective in millionths of a gram while cannabis doses are usually measured in grams. The second difference is that cannabis preparations produce much more sedation than other hallucinogens. Cannabis is usually smoked in marijuana cigarettes and causes mild euphoria, sedation, increased pulse, disturbance in short-term memory, and red eyes. Cannabis can also impair judgment and coordination and has caused motor vehicle accidents. Cannabis has been shown to produce physical dependence but only when given in extremely high doses that are rarely taken even by people who use it regularly. Adverse effects are similar to those produced by the other hallucinogens, except that they occur less often because the relative effective doses used are smaller. 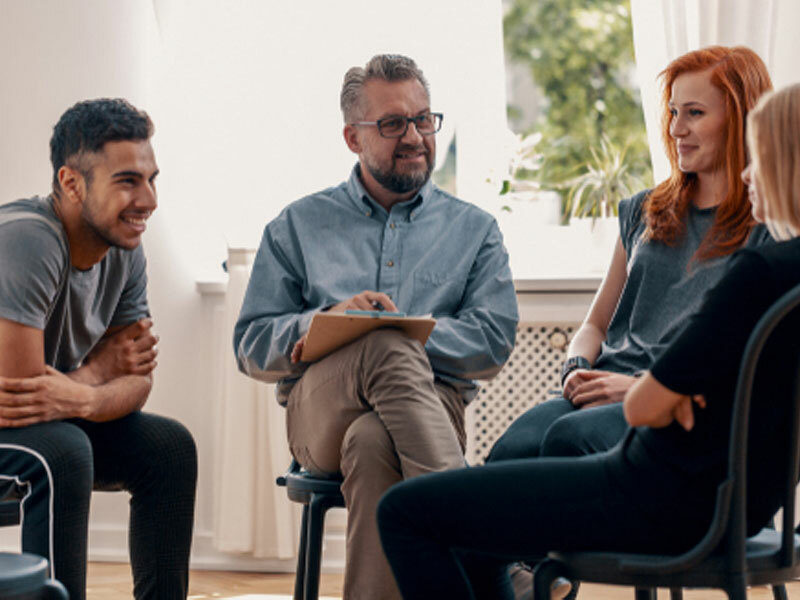 Psychiatrists practicing in some parts of the United States, such as Oregon, report more adverse effects than are seen in other areas. This may simply be a dose-effect phenomenon, since much of the most potent U.S. marijuana is grown in northern California, the Pacific Northwest, and Hawaii. Higher potency marijuana has a greater content of THC, the active ingredient. The greater the THC, the greater are the chances for toxicity. Like PCP, THC is also stored in body fat and can have prolonged effects, especially if very potent marijuana is used. 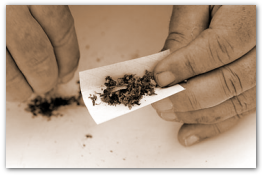 Because marijuana is smoked, some feel that, like tobacco smoking, it will be found to produce chronic bronchitis, emphysema, and lung cancer. People with cardiovascular disease who smoke marijuana have developed angina. This effect may be due to the elevation in heart rate that normally occurs when using marijuana. One of the most controversial effects of marijuana is the amotivational syndrome that has been observed in people who chronically use marijuana. It is characterized by lethargy, low motivation to engage in productive work, boredom, mild depressive feelings, and trouble concentrating and remembering. Several studies have attempted to either prove or disprove the existence of this syndrome, but they had conflicting results. Thus, the scientific literature offers no clear answer to this long-standing problem. Many clinicians believe that the syndrome is real because they have observed it in many of their patients, but clear proof awaits further studies. A related effect is the so-called marijuana hangover. The literature is more consistent here, with many studies showing that smoking one marijuana cigarette can have persistent, subtle but measurable effects on fine motor coordination and concentration for as long as 12 to 24 hours after intake. Endocrine Effects–In females, chronic use can cause disruption of the menstrual cycle. An increased incidence of infertility or difficult conception has been noted with chronic marijuana use. In males, gynecomastia has been noted in chronic heavy users as well as some cases of decreased testosterone levels and diminished sexual interest. Marijuana has been shown to cause a lowering of body temperature which can cause a diminished febrile response, thereby compounding the problem of infectious disease. In-coordination, dizziness, tremors, involuntary movements, photo-phobia, headaches, and numbness may occur with marijuana use. The information and acquisition phases of short term memory may be impaired. EEG changes, seen as mild slowing in alpha-wave frequency, may occur. An increase in Stage 4 sleep and a decrease in REM sleep have been reported. Acute Panic Reactions–Depends on dose administered and the experience of the user. Usually due to the rapid heart rate, disconnected thoughts, and paranoid ideation users experience. Usually clears spontaneously. Depressive Reaction–Usually occurs with larger than normal doses. Clears spontaneously within 1 to 2 days. Can also occur with chronic use, and the effects are longer lasting. Toxic Psychosis–Usually occurs with larger doses of THC than the user is accustomed. Hallucinations, depersonalization, and derealization are prominent features and usually clear spontaneously in 1 to 2 days. Recurrent Reactions–Extremely rare in users whose last psychoactive chemical use was more than 6 months ago. Marijuana effects re-experienced days or weeks after the last dose. Amotivational Syndrome–(Burned out, Vegged out, Space Cadets) Decreased drive, shortened attention span, poor judgment, distractibility, impaired communication skills, diminished effectiveness in interpersonal situations, and a tendency to introversion. These effects are usually seen in chronic users. There are a variety of reactions when mixed with other drugs. When mixed with alcohol it exaggerates the symptoms of the marijuana. It is often used with cocaine to take the edge off the stimulant. More information about drugs and how to find intervention services to get help. Marijuana–(Cannabis Sativa and Indica) Called Pot, Reefer, Dope, Weed, or Grass. Usually a mixture of the leaves, flowering tops, stems, and seeds of the cannabis plant. The plant contains about 60 cannabinols to which the intoxicating properties are attributed. Tetrahydrocannabinol, or THC, is the most prevalent and most potent of the cannabinols found in the marijuana plant. The potency of marijuana is usually measured by the concentration of THC in the plant, cigarette, or extract. There has been a dramatic increase in the potency of marijuana confiscated over the last 15 years. Altered time sense (time appears to slow), reddening of the eyes, confusion, paranoia, increased appetite, mood swings, drowsiness, vision may seem sharper and sounds may seem more distinct, increased reaction time, increased heart rate. When Eaten–Only 1/4 to 1/3 of THC reaches the blood stream. Onset is from 30-120 minutes, duration of effect is 8-12 hours. Because of the amount of time marijuana remains in the system, intervention services with long-term treatment is indicated along with participation in NA for socialization. Treatment must include attention to detoxification with assessment for other chemical use. For chronic users and adolescents habilitation skills are appropriate because of the memory loss and/or lapses and to elevate self-esteem.